The “Intelligent Energy Europe” programme: encouraging innovation in energy efficiency | Energy 3.0 : the webmagazine about energy efficiency. The aim of the “Intelligent Energy Europe” programme – established as part of the Competitiveness and Innovation Framework Programme (CIP) stretching over the period 2007 to 2013 – is to fund and support the most innovative projects in the energy sector. Its stated objectives are to encourage innovation by companies in the energy efficiency and renewable energies sector. The “Intelligent Energy Europe” programme is funded by the European Commission. It is part of the EU’s targets for 2020 (20% renewable energies, 20% improvement in energy efficiency and 20% reduction in greenhouse gases). Apart from the innovative nature of the projects supported, their European dimension is the second most important criterion. This aspect is assessed according to the supranational character of the measures undertaken, as well as the capacity to bring together skills from different European countries to work on a sustainable project. This programme was initially set up in 2003 to implement the Lisbon Treaty before being renewed for the period 2007-2013. The total budget allocated to this new stage increased significantly and has progressed over time: from 52 million Euros in 2007, investments have increased year on year, to represent a total budget of 727.3 million euros (i.e. 120 million Euros on average for each year of this IEE 2 programme’s existence). The programme is aimed at innovative small- and medium-sized companies and its objective is the dissemination of best practices via the funding of projects which combine local pilots with a European dimension. Each year the IEE programme selects the most relevant projects following an annual call for proposals. The result of the 2010 call for proposals will be published shortly, with 58 million Euros to be distributed and 44 projects still in the running. 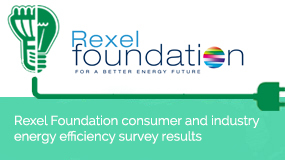 In practice, the selection criteria favour projects designing and disseminating best practices, the development of technical tools for managing energy resources and initiatives to inform and raise awareness among consumers. In other words, micro-innovations which can be disseminated throughout the EU, rather than projects offering scientific breakthroughs. 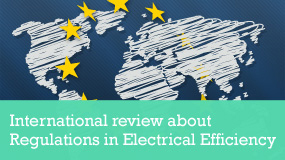 The IEE programme is therefore aimed as much at encouraging innovation as spreading it and harmonizing the functioning of the various European energy sectors and markets… Further proof, if it were needed, that energy efficiency will be a priority issue for the Commission in 2011-2012.